His new show is turning out to be very good. I went in without any expectations and it's got me looking forward to the next episode. J. J. Abrams is an Executive producer which probably put very high expectations on the show from a lot of people. I hope it's living up to them because I'd like to see it continue. The ratings are holding for the most part, although it has gone down a bit. 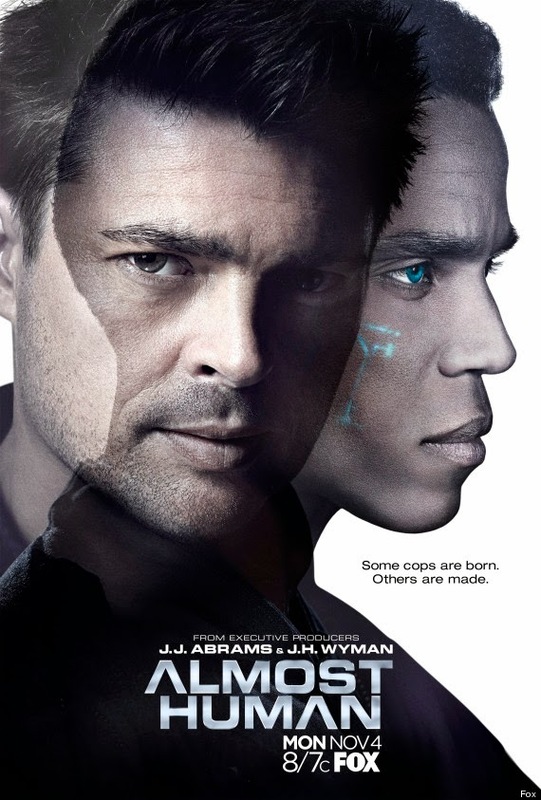 In its second outing on Monday night, Fox’s new Almost Human slipped 17% compared to previous Monday in the demo, clocking a 1.9 rating, and about 6 million viewers, which put it in fourth place among broadcasters on both counts. It held 100% of its audience throughout the hour. The show also retained 100% of its teen audience, week to week. One week earlier, the futuristic cop drama had logged about 6.3 million viewers and landed in a three-way tie for second place in the demo with a 2.2 rating in fast nationals, tumbling 29% in its move to Monday after a Sunday premiere behind an NFL double-header. Fox projects the new drama episode will climb to a 3.1 or 3.2 demo rating when Live+7 Day stats come out and estimates the episode will be viewed by more than 14 million via 30-day multi-platform viewing. Watch episodes online at FOX.